H. Louis Fizeau and J. Leon Foucault took the first surviving daguerrotype photograph of the Sun. R. Luther discovered asteroid #108 Hecuba. S. I. Belyavskij discovered asteroids #851 Zeissia, #852 Wladilena and #853 Nansenia. K. Reinmuth discovered asteroid #2500. Y. Vaisala discovered asteroid #1549 Mikko. 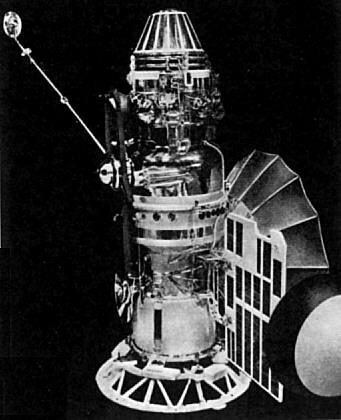 USSR launched the Luna 4 spacecraft toward the Moon. Luna 4, launched 2 April 1963, was the USSR's first successful spacecraft of their "second generation" Lunar program. The spacecraft, rather than being sent on a straight trajectory toward the Moon, was placed first in an Earth orbit from which an automatic interplanetary station was rocketed towards the Moon. Luna 4 achieved the desired trajectory but because of a failed mid-course correction, it missed the Moon by 8336.2 km at 13:25 UT on 5 April 1963, and entered a barycentric 90,000x700,000 km Earth orbit. The actual intended mission of the probe is not known. However, it has been speculated the probe was designed to land on the Moon with an instrument package, based on the trajectory, on the later attempted landings of the Luna 5 and 6 spacecraft, and on the fact that a lecture program entitled "Hitting the Moon" was scheduled to be broadcast on Radio Moscow at 7:45 p.m. the evening of April 5 but was cancelled. The spacecraft transmitted at 183.6 MHz at least until 7 April. USSR launched the Zond 1 Venus flyby mission, communications failed 6 weeks after launch. Zond 1 was launched 2 April 1964 from an Earth orbiting platform towards Venus. Communications from the spacecraft failed soon after 14 May 1964. It flew by Venus on 14 July 1964, at a distance of 100,000 km and entered a heliocentric orbit. The announced mission objectives were space research and testing of onboard systems and units. N. Chernykh discovered asteroids #2190 Coubertin and #2593 Buryatia. A. Gilmore and P. Kilmartin discovered asteroid #3400. P. Jensen discovered asteroid #3459 Bodil. NASA's STS 45 (Atlantis 11, 46th Shuttle mission) flight ended after carrying the Atmospheric Laboratory for Applications and Science-1 (ATLAS-1) experiment package to orbit.